Reddit is pretty useful. It’s great for discovering new things, getting involved with the communities of the things you love, and for seizing control of computers for nefarious clandestine operations. You may not have been aware of that last one, but it’s true. 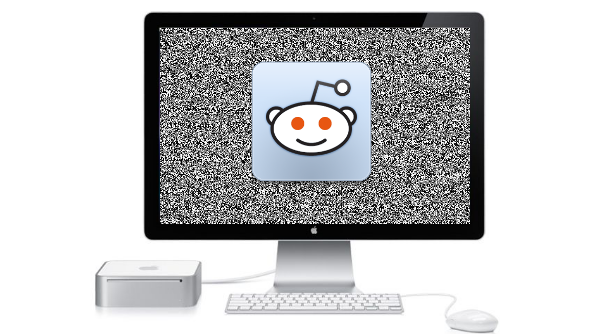 Reddit is the portal of power for a ring of hackers currently targeting Apple Mac computers. The revelations come from Dr. Web, which apparently is not a knock-off of Web GP, but a Russian security company who have been investigating dodgy software. The program in question here is ‘Mac.BackDoor.iWorm’, a worm that takes advantage of a flaw in Macs OS X operating system. It’s not clear how this worm wriggles its way onto Mac hard drives, but what is clear is how many infectious little buggers there are out there: over 17,000. As of last Friday 17,658 Macs have been infected. But that’s not the amazing/terrifying part. That comes when you discover that the worm then allows hackers to control the computer through Reddit, of all things. The worm hops on the internet at its first opportunity and makes a beeline directly for the Minecraft sub-Reddit and starts searching through the discussion pages. It hunts for a comment left by the hackers, which provide it with addresses to connect to. With a connection established, the hackers are now in control. It looks like the hackers involved are creating a “botnet”, a web of connected computers that can be used to launch attacks on websites by flooding them with users to cause a crash. Other uses include farming bitcoin and sending out spam emails. At current Dr. Web doesn’t believe the computers are being used by the hackers, but merely being farmed for a future operation. 1,227 infected Macs are among us in the UK, and a further 4,610 are hiding in homes across the United States. How many are in your country? Check out the map at Yahoo. We just need a digital flamethrower to burnt it out of its hidey hole now.